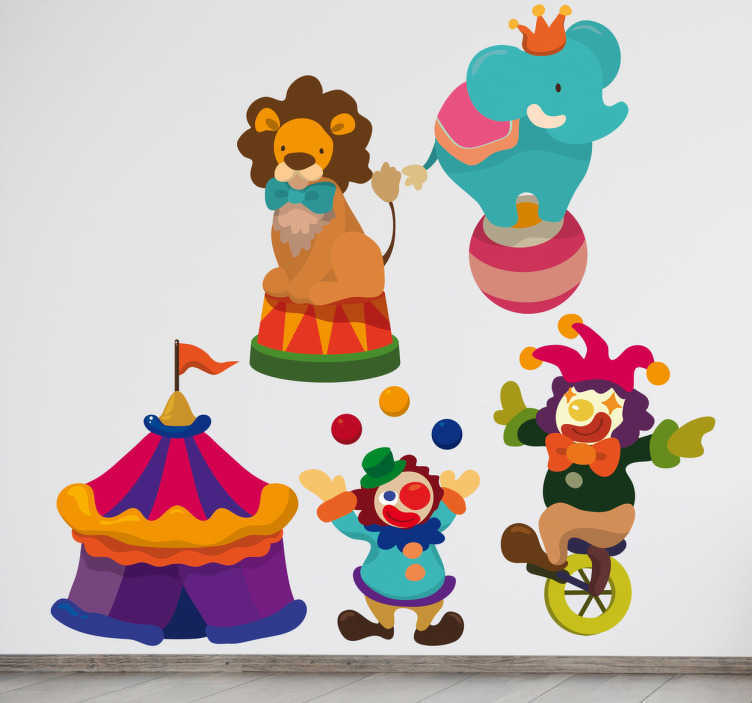 Decorate that empty space in your child's room with this fantastic set of fun stickers which are related to fun characters from the circus. Fascinating vinyl decals that will create a brilliant atmosphere for your kid. The size mentioned below are subject to the whole set of stickers.